result scholarship DBBL - Dutch Bangla Bank HSC scholarship 2018 Result has been published! DBBL - Dutch Bangla Bank HSC scholarship 2018 Result has been published! 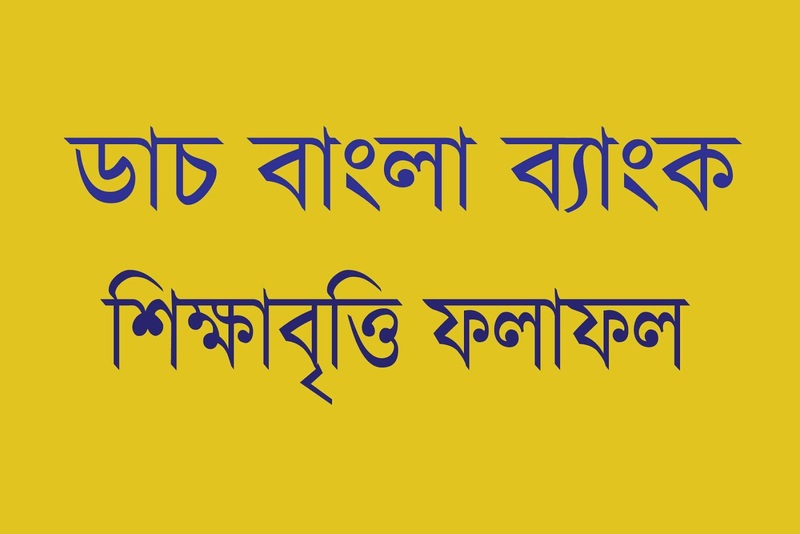 Today DBBL - Dutch Bangla Bank HSC scholarship result 2018 has been published on official website of Dutch Bangla Bank Ltd.
You may find DBBL HSC 2018 scholarship result on the 'Daily Bhorer Kagoj' Newspaper too. http://epaper.thesangbad.net/ on 27, 28, 28, 30 January, 2019. This year 2018, for HSC 2018 students, 3986 students have been selected finally for DBBL HSC 2018 scholarship. The students who are selected for DBBL HSC 2018 scholarship, congratulations to them. On 02 February, 2019, at Mirpur Indoor Stadium, their celebration will be held. Coming DBBL SSC 2019 scholarship and DBBL HSC 2019 scholarship circular and result in the coming year. The students who have failed to gain DBBL scholarship, do not be hopeless. More than 20 govt. and non-govt banks offer scholarship at different education level in our country. Please try to gain those bank scholarships, the lucky rule for gaining scholarship is that the student who gets scholarship from one bank is not eligible to apply for other banks scholarship. So, you may also get chance to achieve scholarship.